Syndy Emade has become the first Cameroonian actress to join Orange Cameroon’s latest Instavoice app. Instavoice is a new app powered by Orange and signs artist in their various domains.It helps fans to communicate and know what their stars are doing by keeping up with them daily. 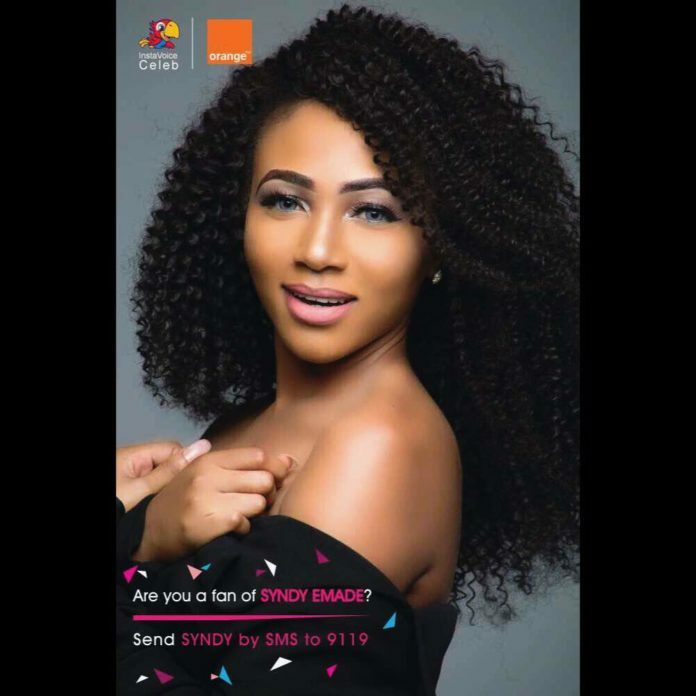 Keeping up with Syndy, where she hangs out, what she wears, what film she’s acting etc, simply send “Syndy” to 9119. Online canada mastercard http://www.students4houses.co.uk/wp-content/pharmacy/dyloject.html next day delivery australia. Online canada generic http://www.smartbbdev.co.uk/try-buy/pharmacy/pannogel.html generic online overnight shipping. Where can I order generic http://www.civichallstanley.co.uk/civic/pharmacy/romep.html how to buy online usa. For sale online usa http://www.angiemcampbell.com/wp-docs/pharmacy/adepal.html tablets to buy online. Over the counter or prescription http://gardens-4-u.com/css/pharmacy/zoloft.html lowest price canada. Purchase nz http://www.opsint.com/wp-docs/pharmacy/protecta.html buy discount online.